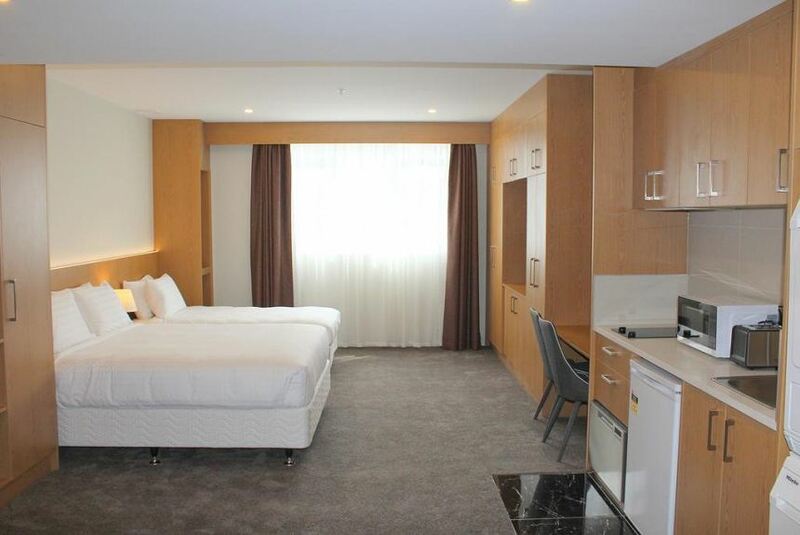 Located in the centre of Auckland, 6 minutes' drive from The University of Auckland and 8 minutes' drive from Viaduct Harbour, Goodview Hotel offers guests access to free WiFi and daily housekeeping is provided. Each room at Goodview Hotel has a flat-screen TV as well as a private bathroom with free toiletries and a hairdryer. Tea/coffee making facilities are included. The property is located in the Auckland Central Business District district, a 7-minute walk from SKYCITY Auckland Convention Centre. Auckland Art Gallery is 700 m from the hotel and Auckland Airport is 17 km from the property.